Wladyslaw Theodor Benda passed away about a year after this article came out. Before he started making masks he was an accomplished painter. IF YOU want to buy a mask from W. T. Benda, internationally famous mask maker, you’ll have your choice of several kinds—realistic, grotesque, comic and fantastic—and it’ll set you back only about $2,000. Put it on. Feel anything? 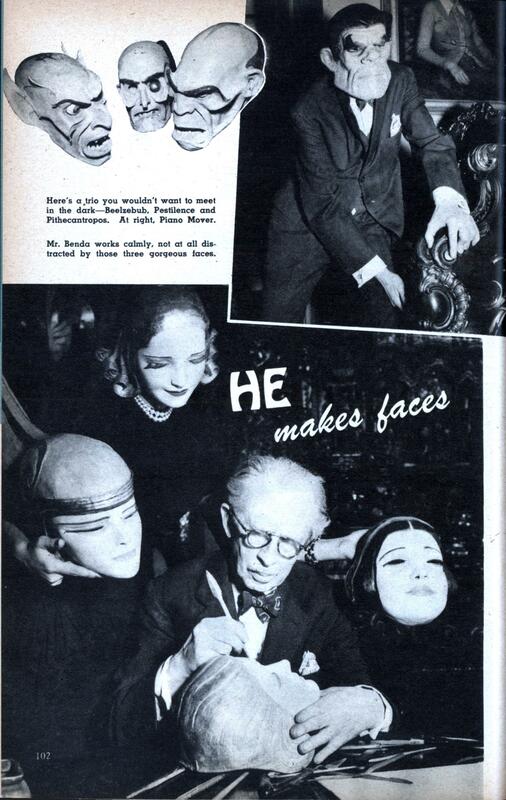 Mr. Benda says a man automatically assumes something of the character of any false face he puts on. The mask gives the illusion you’ve “escaped” from yourself.